Chesdin Landing features beautifully designed custom waterfront homes from some of the area's most sought after luxury home builders. Learn more about them below. Meet Biringer Builders, where quality and imagination meets jaw-dropping design; where beauty is found in every custom detail, and old-fashioned integrity typifies the company’s hard earned reputation for excellence. Biringer Builders knows how to construct a superior custom home and has decades of gratified homeowners to tell you about it. Craftsmanship and quality are the foundation on which Jim Biringer began the company in 1979. Today, John Waters continues the tradition of custom workmanship and an unsurpassed customer experience. They lead a team of sales and design professionals that provide the vision, service, and attention to detail that has become tantamount with the Biringer name. John is a Class A General Contractor and Certified Green Professional. What else is synonymous with the Biringer brand? The WOW factor. Step into any Biringer home and you will experience uncompromised construction and hot new trends in home building and design. The gourmet kitchen you just saw on Houzz? The master suite you recently pinned on Pinterest? Biringer brings those grand ideas to life in the floorplans of their homes. And people are noticing. Recently Houzz named Biringer as one of its best in Design and Client Satisfaction, as well as a primary Influencer in the industry. Biringer Builders swept the Parade Awards in 2013, 2014, and again in 2015. 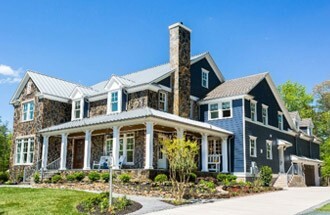 The Homebuilding Association of Richmond honored them as BUILDER OF THE YEAR in 2014, the pinnacle of achievement in the homebuilding business. 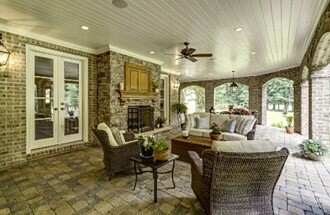 A true custom builder, Biringer delivers a home building experience that allows clients to dream while the Biringer team manages all the details. Biringer Builders designs custom plans tailored specifically to the homeowner, or clients can select from a portfolio of plans that can be adjusted to fit their needs. 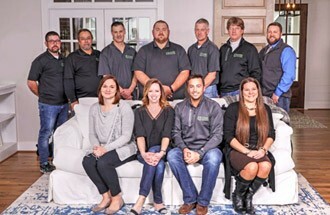 Biringer’s “dream team” of employees, craftsman, architects, designers, suppliers and sub-contractors manages all the complexities of building a custom home with impeccable attention to quality, craftsmanship, and most importantly, the homeowner. Timeless elegance, innovative floor plans and attention to detail is what you will find in a new home constructed by Christopher Construction, Inc. 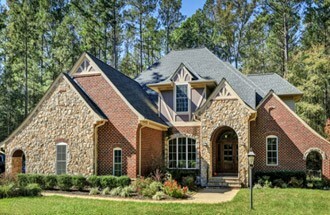 Since 1983, Chris Bolton has been designing and building award-winning custom homes in many of the most popular and prestigious communities in the Richmond area. As president of Christopher Construction, Inc., he is personally involved in every aspect of supervising construction of a new home. Believing that a strong line of communication between the builder and homeowner is the key to a successful project, Chris has developed a reputation as being a first class builder with an eye for details. Offering complete new home design services, Christopher Construction, Inc. takes pride in its ability to incorporate your ideas and input into the style and elegance of your new home. 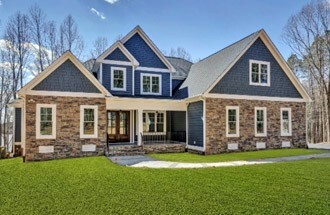 After graduating from Arizona State University in 2006, high school sweethearts Adam and Megan returned to their hometown of Chesterfield, VA with the dream of creating custom homes that would suit the unique lifestyles of the people in their community. Together, their experience and commitment to quality allowed Covenant Building & Design to grow from a family business into a leader in the home building industry. Making a house a home is a team effort, and Adam & Megan were determined to find outstanding individuals who would be the right fit for their vision of Covenant Building & Design. Each member of our team brings with them an exceptional level of skill and dedication, making CBD stand out from the crowd. We pride ourselves on working together throughout the entire process, always going above and beyond to surpass expectations. It is this commitment to quality that has helped us build strong relationships with our clients, offering them a truly unparalleled building process and value that lasts a lifetime. When Ray A. Williams Custom Homes was named “One of Richmond’s Top 25 Fastest Growing Companies of 2004” by the Richmond Times-Dispatch, it was more than just an honor – it was an affirmation of the hard work and ideals that we put into each Ray A. Williams home. Year after year, we build quality homes that far surpass our home buyers’ expectations. Our company was founded by Ray A. Williams and Peggy T. Williams in 1978, and their son Ray A. Williams Jr. joined our team in 1994. Since our company’s inception, we have perfected the art of “no-hassle home building” to craft high-quality homes that our clients can proudly pass on to their children. For first-time and seasoned home buyers alike, our personalized and hands-on approach makes all the difference. Customer service and customer satisfaction are top priorities at Ray A. Williams, and that means we put you first. We work closely with our clients through every stage – from designing or choosing a plan, to finding financing, to making the important selections of flooring, materials, and features – because every detail matters. Our policy is to use only the best suppliers and subcontractors as part of our Housing Trends team, and our homes are held to the strictest standards and tests. We’ll do everything possible to meet your expectations throughout the building process, as well as after. 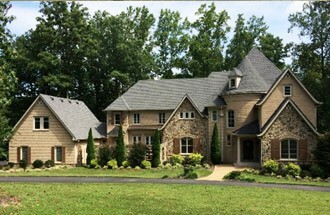 For years, Robert Carter and Southern Traditions has raised the standards for what a true custom home should be. We don’t just build houses, we establish partnerships with our customers that last well beyond the actual construction of their new home. Our personal attention to the wants and needs of our homeowners is unsurpassed, and the quality materials and expert craftsmanship are among the best in the industry. If you are thinking about building but do not want to settle for what other builders offer you, give Southern Traditions a call and discuss with us Your dream home!